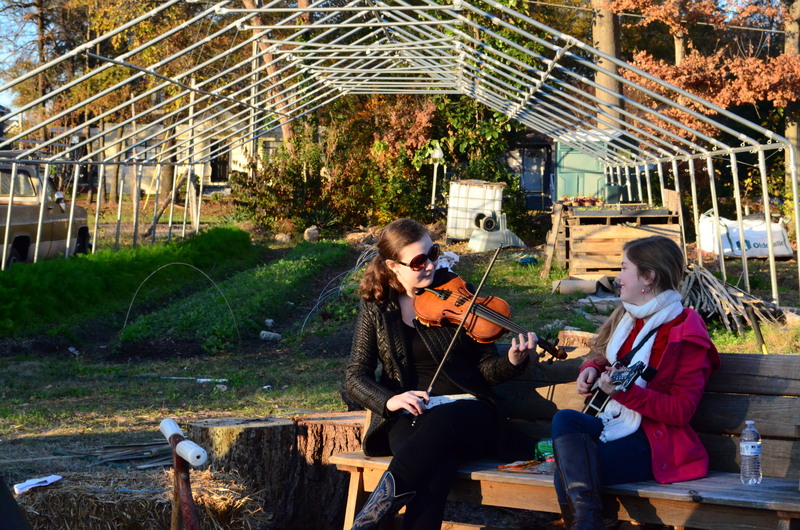 This year marked our 2nd annual Hot Nuts & Cider gathering at Raleigh City Farm, and we were overwhelmed by the positive response from our partners, sponsors, and the local community. 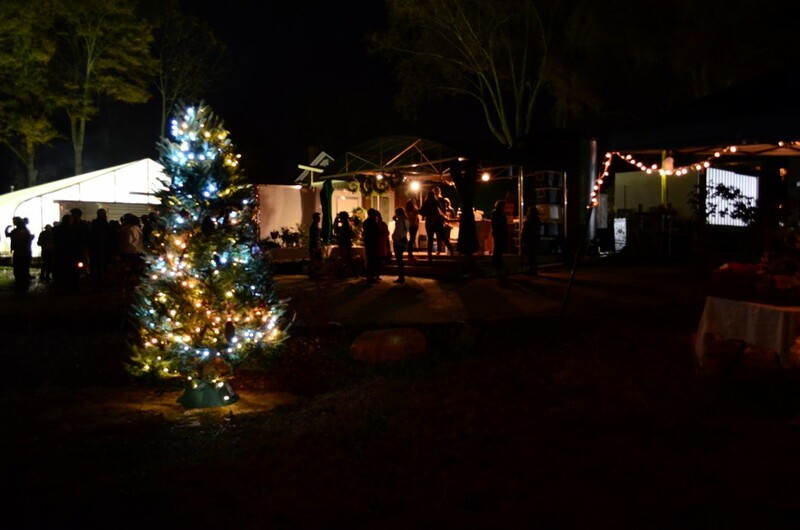 Thank you too everyone who helped with the event and to all who came by, cracked nuts, drank cider, made an ornament, made or purchased a wreath, and huddled around the fire listening to some great bluegrass. See full gallery here. For those of you who were asking about our candied pecan recipe, here it is! ->Melt the butter over medium heat in a heavy-bottomed skillet (preferably cast iron if you are over an open flame). 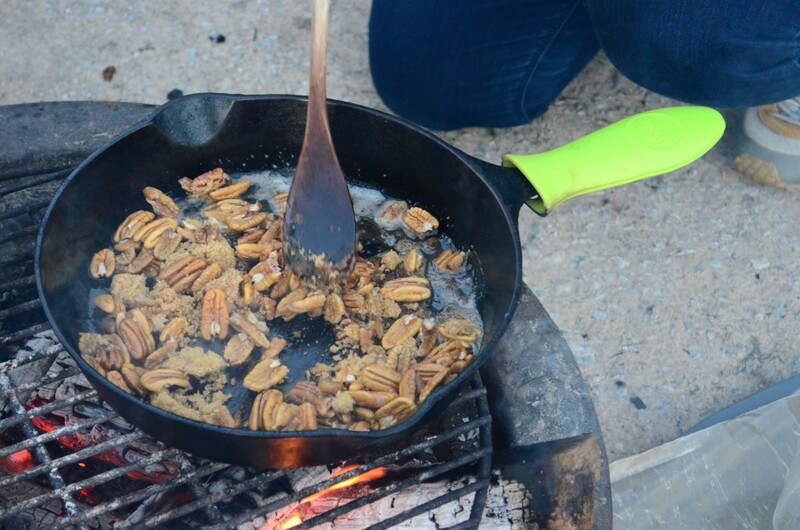 Once butter is melted, add pecans and toss in butter to cover. Add brown sugar and stir so that sugar evenly coats pecans. Once sugar takes on a molten liquid appearance (and no sugar granules are visible), pour pan contents out onto wax paper to cool. They will harden and candy as they cool. The story goes that the Green Mountain Boys, who included Ethan Allen in their crew, were hanging out at a tavern in Vermont in 1775, drinking hard cider with shots of rum. The name of this not-so-fancy drink is a Stone Fence, and since it was the last thing these Green Mountain Boys did before crossing Lake Champlain to capture Fort Ticonderoga at dawn the next morning, it’s clearly what gave them the strength and American spirit to defeat the British. 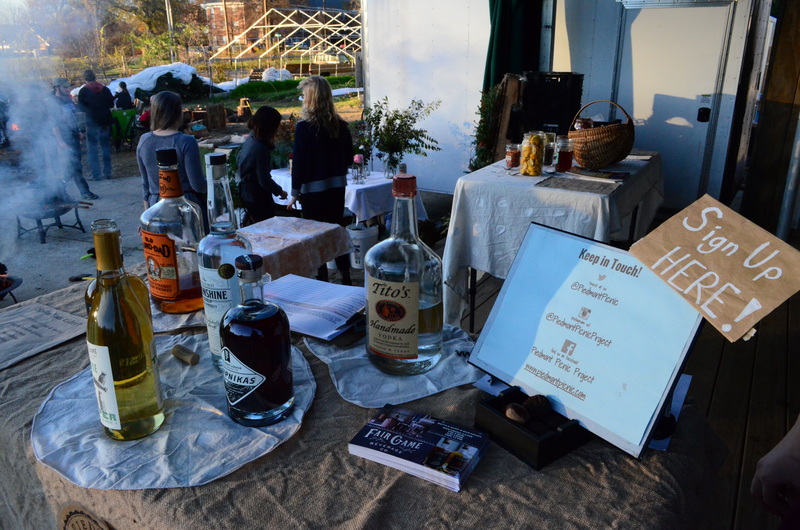 As we drank it at Hot Nuts & Cider, we used hot cider instead of hard, spiked it with NC-grown and distilled sorghum rum from Fair Game Beverage, and added a dash of Crude bitters to complement the flavors. Pour rum and add bitters in your glass, then top with hot apple cider, preferably heated over an open fire. Can garnish with a foraged bitter orange or rose hips, especially if you’re drinking with Piedmont Picnic Project. Attacks on the British optional. Special thanks to our partners and sponsors below! You each made this event more delicious, more fun, and/or more sustainable! 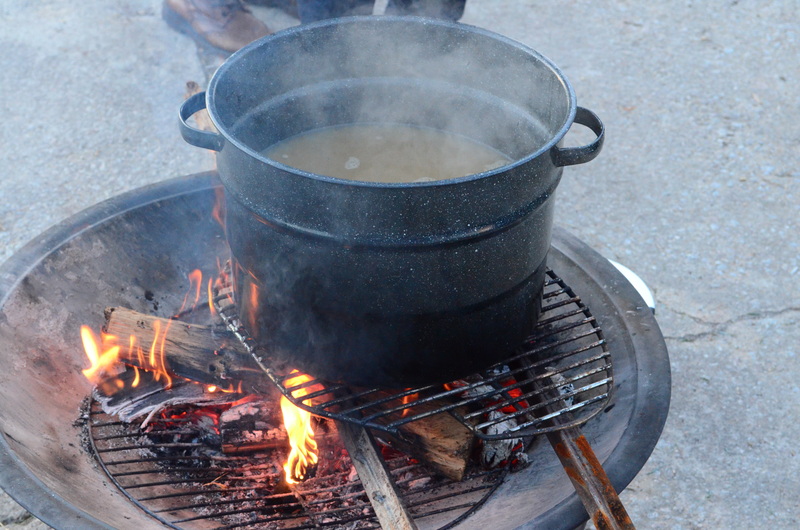 It’s almost time for Hot Nuts & Cider! Elixir of Life: Fermented Sodas Workshop @ Ramble Supply Co.